Wedding Rehearsal Dinner | Outdoor Wedding Venues Dallas | Paradise Cove | Grapevine Southlake Dallas Fort Worth Weddings, Events, Parties, Galas, Banquets and more. So many celebrations and events precede your wedding day. There is the engagement party, showers, bachelor/bachelorette parties, and there is the rehearsal and the wedding rehearsal dinner. When you choose Paradise Cove, we not only provide your wedding in our outdoor wedding venues in Dallas, but your rehearsal and the rehearsal dinner as well. Traditionally, the family who does not pay for the wedding pays for the rehearsal dinner. However, it is acceptable for others to host it. Furthermore, the person who pays for it, decides the size and budget for the event. There are a number of options for the location. A local restaurant or private hotel conference room are options for the rehearsal dinner. The local restaurant is a simple option as the restaurant handles all of the food and drinks. On the other hand, the restaurant seldom provides private dining for your party, and there are the issues of other guests wandering into your party. A private conference room would require hiring a caterer and decorating the space, but would provide a higher degree of privacy. Paradise Cove has the facilities and staff to provide your wedding ceremony, wedding reception, your wedding rehearsal, and the following dinner. Your privacy is assured, as we only schedule one event at a time. Furthermore, we provide a wedding coordinator who will handle all of the details for each event in our outdoor wedding venues in Dallas. With all events on the site, it eliminates the need for the rehearsal party to relocate for the dinner, a convenience out of town guests will appreciate. The wedding party and immediate family members are invited. In addition, it is acceptable for members of the wedding party to invite their significant other. It is also acceptable, and encouraged to invite out of town guests if there is enough space. Ensure you invite the officiant who will preside over your outdoor wedding venues in Dallas. He or she may not attend, but extend the courtesy of an invitation. The rehearsal dinner is often an informal dinner with some of your favorite foods. BBQ or seafood, for example, are favorite foods for a rehearsal dinner. 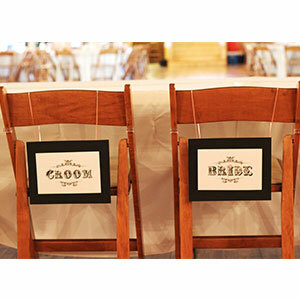 It is a fun way to enjoy your wedding party and the invited guests without formality. In addition, a growing trend is a small rehearsal dinner, including immediate family and wedding party, and then a welcome party that includes all wedding guests. If you have many out-of-town guests expected at your wedding rehearsal dinner, then it can be a fun time to introduce them to some of the highlights in the DFW area. For additional information regarding the service’s Paradise Cove offers in its outdoor wedding venues in Dallas, give us a call. We will be glad to provide you a tour, and explain our services to you. Located on the shore of Lake Grapevine, our beautifully landscaped grounds are sure to please you and your beloved, as well as your guests.